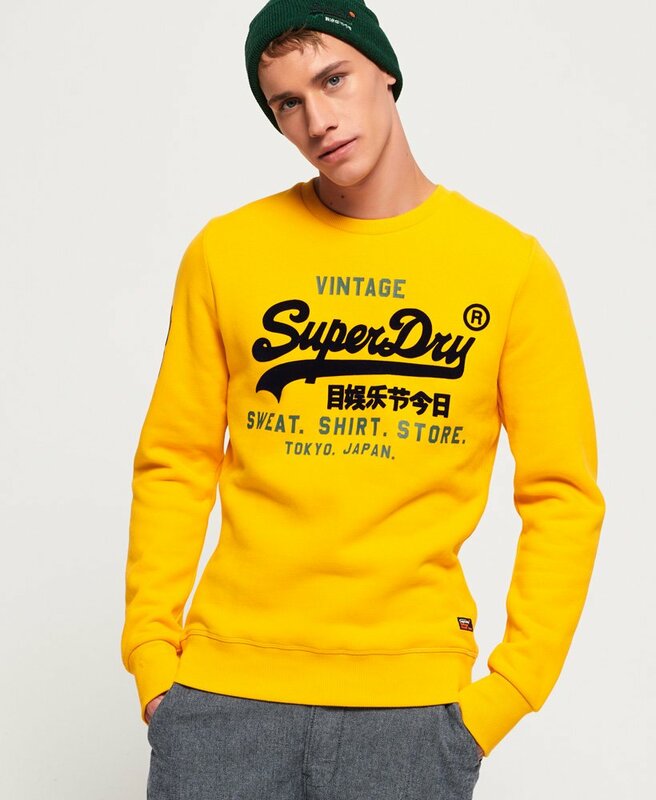 Superdry men's Sweat Shirt Store crew neck sweatshirt. This soft-touch sweatshirt features a crew neck, a ribbed hem and ribbed cuffs. 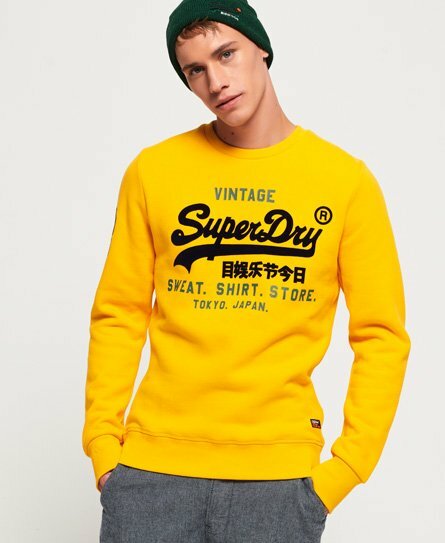 The sweater also features a large Superdry logo across the chest in a flocked finish, and a number graphic on the sleeve in a cracked effect. The Sweat Shirt Store crew neck sweatshirt is finished with the signature orange stitch in the side seam and a Superdry logo patch above hem. This sweatshirt goes perfectly with jeans and trainers for a casual but on trend look.